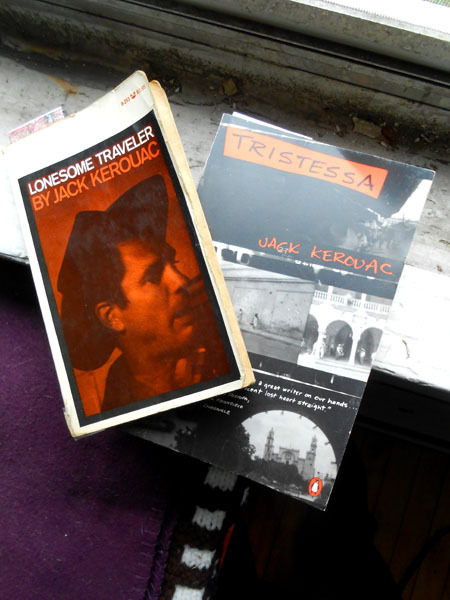 Reading Jack Keroauc’s truth-disguised-as-fiction “Tristessa” (1960) which I hadn’t known about until I bought it used from Guide to Kulchur for $5. 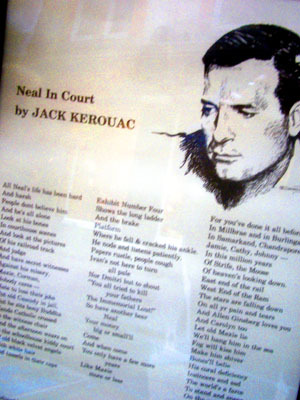 Kerouac was my main driver of yearning for adventure and travel ever since my 17 yr-old self read “On the Road” in 1963 and it inspired a fire to go to Mexico and smoke dope. Took me four years to find marijuana, two more months to put a needle in my arm, 44 years to hit Marrakech and six months more for Mexico. Now I read his adventures and think, hmmm, getting drunk, done that . . . smoking grass, yup . . . joy riding, yes . . . mainlining, been there . . . smoking opium, of course . . . hash in Morocco mushrooms in Mexico, uh huh . . . walking Zen trail, still dabble. But the one thing I did poor Jack didn’t was pass through the maelstrom of alcohol and needles and snorting and sniffing and popping. I ended up drinking myself to death 22 years ago and haven’t imbibed since, stopped needles 14 years ago, quit cocaine three years later, and discovered a couple years ago during my hip replacement I no longer enjoy pills. So I’m down to 2 cups strong coffee daily and grass anytime I have the chance. Last did LSD in 1985 and magic mushrooms down in Mexico 5 years ago, though I’ll do both again in ten years or so. Find that Jack’s words which excited my 17 yr self now seem tame, shallow, but still the initial thrill that primed my adventure pump by showing there was more out there than suits, suburbs, TV. What he did and wrote was important because he did it first and he did it well. He hopped the Beat train before it left the station, before it even had a destination. Unfortunately he drunkenly stumbled off part way thru the journey to go home, live with mom, drink himself to death, losing his mad holy light while railing at those still riding, especially the (to him) free loading hippies who hadn’t earned a ticket. That’s the second thing I did Jack didn’t – I stayed on the train. There’s a third string we have in common . . . we both drank ourselves to a bleeding throat ulcer which killed us, except I rose the third day and walked home sober. What he did isn’t lessened by later because we’re all weak and constantly stray quit fail walk away, so thanks Jack for the journey. You are my original light, and I cherish your burnt-out bulb. You turned America to the possibility of leaving the sheep pen and having exotic adventures. You also showed us failure. Both are lessons to use. 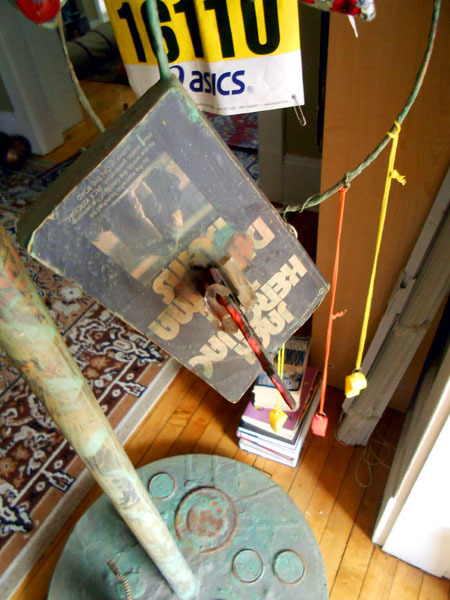 This entry was posted on Monday, August 5th, 2013 at 12:21 pm	and is filed under america, Being, Bio, Creative Writing, Mexico, Morocco, On Writing, writing. You can follow any responses to this entry through the RSS 2.0 feed. You can leave a response, or trackback from your own site.